Molly Ball is National Political Correspondent for TIME where she writes columns, features and contributes video journalism. She is also an analyst for CNN. Previously she was a staff writer for The Atlantic, where she covered national politics. Before joining the Atlantic, Molly reported for Politico, the Las Vegas Review-Journal and the Las Vegas Sun. From 2001 to 2003, she was a reporter for the Cambodia Daily. 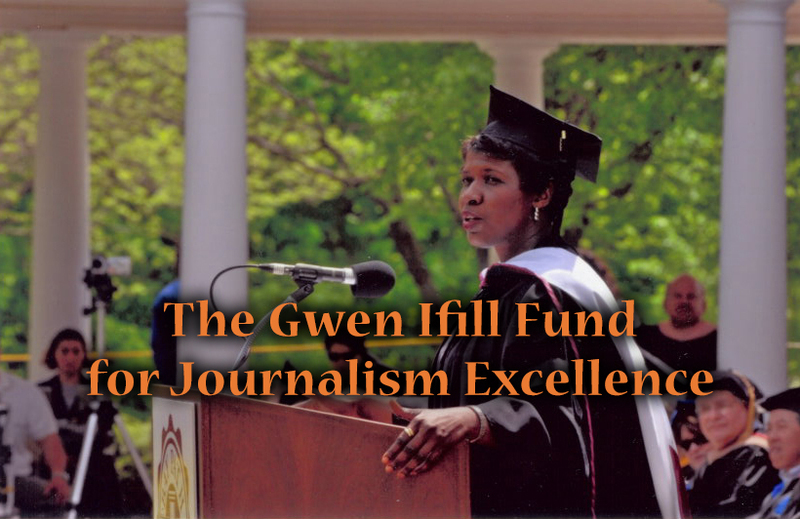 She is a recipient of numerous awards for her journalism, including the Toner Prize for Excellence in Political Reporting, the Society of Professional Journalists’ Sigma Delta Chi Award, the Sandy Hume Memorial Award for Excellence in Political Journalism, and the Lee Walczak Award for Political Analysis. A graduate of Yale, she was a Knight-Wallace journalism fellow at the University of Michigan in 2009, where she studied economic policy. In 2007, she won $100,000 on Who Wants to Be a Millionaire. Ball grew up in Idaho and Colorado. She lives in Washington, D.C. with her husband and three children. President Donald Trump’s administration made headlines again with the exit of chief strategist Steve Bannon Friday. The panelists also discussed what led to the violence in Virginia, how elected officials responded, and where America goes next. Donald Trump surpassed the 1,237 delegates needed to clinch the Republican nomination while Hillary Clinton continues to deal with fallout over her private email server. Can Trump unify the Republican Party? Paul Ryan "not ready" to back Trump, Clinton calls Trump "loose cannon"
The presumptive Republican nominee Donald Trump will meet with Congressional Republicans to unify the GOP. Trump is behind Hillary by the slightest of margins, GOP candidates announce their policy positions, and Clinton continues to answer questions on her email use. President Obama announced plans to open a U.S. embassy in Cuba and the state of the 2016 race. With a Republican-controlled Congress, what's in store for Obama's final 2 years? Budget vs. Obama, Republicans vs. Obama, and who will be the next Fed Chairman? A ceasefire in Gaza, fiscal cliff politics and speeding up a slow economic recovery. The 2020 Democratic primary will be unprecedented. The field is likely to be the largest in history, there’s no front runner in sight, and the stakes could hardly be higher. Donald Trump’s campaign to discredit the Russia investigation may be working. It’s also damaging American democracy. On Feb. 28, John Ferriola, the CEO of America’s largest steel producer, Nucor, got a call from the White House. Could he be in Washington the next day? Much like the secret infrastructure of money and power that makes the world go round, the Swiss Alps were imposing but nearly invisible as the world’s financial, political and intellectual leaders gathered in Davos. An epic 6-ft. It was bitterly cold as Donald Trump sat down to dinner on Jan. 5 at Camp David, the presidential retreat in Maryland’s Catoctin Mountains. Republican leaders and Administration officials had joined him for what needed to be a frank conversation. With Jones’s surprising win, the American political landscape seemed to rattle and tilt on its axis. Long before he became a senator, Al Franken was a liberal hero for the way he stuck it to Republicans. And so it was perhaps inevitable that, even as he resigned from the Senate in disgrace this week, he couldn’t resist a parting shot. Can Roy Moore Still Win? The alleged child molester or the Democrat? Alabama voters face that choice in a few weeks’ time, and it’s not clear which of those they’ll find more odious. The Trump backlash has begun. One year after their stinging defeat, Democrats bounced back in the off-year elections on Nov. 7 with a surprise sweep from coast to coast, delivering an ominous rebuke to an unpopular President and his party. Five years ago, President Obama ordered that young illegal immigrants be protected from deportation, a program known as DACA. As a candidate, Donald Trump promised to rescind that protection. Despite the opposition Trump has galvanized, the opposing party still hasn’t figured out how to win in the places they’re trying to stage a comeback. Who did the Russian ambassador meet in D.C.? Welcome to Washington, where everyday encounters may not be what they seem. Is the brash new president bending Washington to his will—or being tamed by the status quo? Since President Trump’s inauguration, protesters around the country have risen in defiance of his presidency. There’s no telling, in these early days, where the anti-Trump resistance will lead. He’s moved to establish his dominance of his party, of Congress, and of the media. Now, he turns to the nation. The president-elect has yet to name a secretary of agriculture, a delay that has caused controversy and illustrated the difficulties governing will pose. The election is over, but the president-elect is demonstrating he hopes to dominate Washington the same way he dominated his campaign rivals: by taking the case to his loyal movement of supporters. The crowd at the Donald Trump rally was a sea of gray and white. They hobbled on walkers and canes into the massive amphitheater, searching for a place to sit on the lawn. In Donald Trump's war of all against all, none shall be spared. "I'm so angry at the Republicans," he says, eyes slitted in a mocking grimace. Avik Roy, disaffected republican, surveyed the upstairs room of a tony Palo Alto restaurant where a group of journalists and conservative intellectuals was sipping cocktails before a private dinner. "People are scared,” Donald Trump said recently, and he was not wrong. Fear is in the air, and fear is surging. A few minutes into the conservative policy seminar, the economist John Cochrane made a point of clarification. That House Speaker Paul Ryan easily won his congressional primary on Tuesday, by a nearly 70-point margin, should not have surprised anyone. Yet the political world was watching the result on tenterhooks, waiting for a surprise that never came. It was a hot and stormy week at the Democratic convention, one that began with discord and ended with invocations of togetherness. An eccentric band of conservatives thought they could make a last stand against the presumptive nominee, but wound up only strengthening Trump as he marches to the nomination next week. You could tell how much the effort to control himself pained Donald Trump. He was trying to do what the consultants and D.C. stiffs had told him to do: stick to the script. But his whole being practically strained against the restriction. The 2016 campaign has revealed an America of stark division and mutual animosity. The building that is in the process of becoming the Trump International Hotel Washington D.C.—a century-old granite behemoth that has served as postal headquarters, government offices, and a retail mall—sits cheek by jowl with an IRS building. Is the Tea Party Responsible for Donald Trump? There was already a Republican civil war before Donald Trump came along. Remember the Tea Party? Remember the government shutdown? Where were you the night Donald Trump killed the Republican Party as we knew it? Trump was right where he belonged: in the gilt-draped skyscraper with his name on it, Trump Tower in Manhattan, basking in the glory of his final, definitive victory. Molly Ball sits down with socialist politician Eugene Puryear. I had many questions for Eugene Puryear, the real-life socialist politician seated across the table from me. Did he really want to nationalize the Fortune 500? Why wasn’t he on board with Bernie Sanders? What was John Kasich doing there on Tuesday night, and why did he seem so happy? Yes, the governor of Ohio had just won the primary in his home state. The ballroom at Mar-a-Lago is white and gold—it is called, in fact, the White and Gold Ballroom. Gilded columns topped with gilded arches line the sides of the room; the ceiling is embossed with a gilded pattern of seashells and vines. Humbled by his struggling presidential campaign, can the once-mighty New Jersey governor vault back into contention after Saturday’s debate? The rabble-rousing former Alaska governor pioneered the rhetorical style now powering the frontrunner's rise. With the Iowa caucuses just two weeks away, can Republicans reconcile themselves to Donald Trump and Ted Cruz? Or will the GOP break into pieces? The GOP candidates shared a stage in Vegas, but seemed locked in their own, only occasionally intersecting conflicts. As the public’s fear and loathing surge, the frontrunner’s durable candidacy has taken a dark turn. Is Ben Carson the New Republican Frontrunner? Ben Carson came out to address the media after Tuesday night’s debate, emerging in the spin room with his typical air of beatific nonchalance. A few days after last week’s Democratic debate, Hillary Clinton’s headquarters here buzzes with activity. After her triumph in Tuesday night’s debate, Hillary Clinton was due for a victory lap. “Did we have a good debate last night?” she asked several hundred locals who had gathered for a Wednesday evening rally in an amphitheater here. The Republican frontrunner’s weak showing in Wednesday’s debate has political observers (nervously, tentatively) predicting he’ll finally start to fade. Can the Democratic frontrunner turn around her struggling campaign—or is it time to panic? Can Scott Walker Save Himself? The Wisconsin governor’s presidential campaign is in free fall—a development that puzzles the state he has dominated. “I think panic is the operative mode for the Democratic Party,” David Axelrod, who has been on the receiving end of panic mode many times over the years, told me this week. The GOP frontrunner’s surprising staying power has inspired soul-searching and agony among party elites. Imagine for a moment that you are Ted Cruz, the junior senator from Texas and proud voice of the Tea Party. You have built your career by stoking the rage of conservatives, much of it against the very Republican Party to which you, and they, belong. RedState editor Erick Erickson, caught in the middle of Trump’s latest media feud, says he thinks GOP voters will eventually tire of the tycoon’s antics. You want the Trump show to be over. But it’s not over. You want to ignore Donald Trump. You think maybe if you ignore him long enough, he will go away. Well, guess what? He’s not going away. Don’t believe the hype: There was precious little class warfare in the Democratic frontrunner’s kickoff speech. Nobody ever thought Harry Reid would retire, and that includes Harry Reid. Not long ago, when a reporter for CQ Roll Call asked him what might happen when he left office, Reid retorted, “If I drop dead?” He added, “I mean, I will someday. “Mark Wahlberg is asking me for a pardon?,” Charlie Baker said as he folded his lengthy frame into the backseat of a black SUV one evening in December. As you may have heard, 2014 was a good year for Republicans. They won a lot of elections! Republicans took the Senate majority in a commanding sweep on Tuesday, winning nearly every contested race across the country, gaining governor's mansions and adding to their majority in the House of Representatives. "Well, we expect to win," Mitch McConnell said, his jowly face set in its usual chelonian glare. In the tiny storefront that houses the Boulder County Republicans, the air is thick with paranoia. These are not easy times for a Democratic canvasser, and Cindy Pollard knows it. What Will the GOP Senate Be Like? In Kansas recently, Republican Senator Pat Roberts, who’s in a tough race for reelection, made a statement that left me puzzled. “A vote for me is a vote to change the Senate back to a Republican majority, and we’ll get things done,” he said. Less than two months before the midterm elections, American voters are frightened and unsettled by conditions in the U.S. and around the world. The last government shutdown, almost a year ago, was no fun for anyone. Republicans in the House and Senate demanded that legislation to fund the government simultaneously defund Obamacare; Democrats refused to go along. No sign announces the purpose of this little storefront, squeezed between a Bestway Rent to Own and a Rent-a-Center in a dilapidated shopping center. And lo, another year dawns on the barren landscape of the American polity, that vast, frigid tundra full of people yelling at each other. The members of the Republican National Committee gathered in Washington this week. On Thursday, Mike Huckabee, the former Arkansas governor and former presidential candidate, was the featured speaker. The farm bill passed the House with remarkable ease Wednesday. Is this what remains of the Tea Party? In a classroom in Harlem, the liberal new mayor of New York, Bill de Blasio, appeared with union leaders in support of his plan to raise taxes on incomes higher than $500,000 to fund public pre-kindergarten. In the Hobby Lobby decision handed down last month, the Supreme Court was asked to strike a balance between women’s rights and religious freedom. Vice President Joe Biden's speech to the Democratic National Committee on Thursday included a paean to long shots and lost causes. When Texas Representative Steve Stockman announced he would run for the U.S. Senate, back in December, pundits girded for a doozy of a fight. The Tea Party has become a convenient scapegoat for both the left and the establishment right. The big Obamacare deadline has passed, and Democrats are exultant. It often seems there's no center in American politics anymore. Increasingly polarized camps on the right and left hold diametrically opposed, irreconcilable views on seemingly every issue. In the last few months, the polls in this state's divisive Republican primary turned upside-down. Primary season is almost over, and as you may have heard, the Republican establishment mostly won. The governor of New Hampshire does not live in the governor’s mansion. A few years ago, Chicago residents accustomed to parking on the street got a rude shock. Parking-meter rates had suddenly gone up as much as fourfold. Some meters jammed and overflowed when they couldn't hold enough change for the new prices. This week, in the Hobby Lobby case, the Supreme Court ruled that a religious employer could not be required to provide employees with certain types of contraception. This year’s Republican primaries have been closely watched by pundits sifting for clues about the relative primacy of the GOP’s warring factions. But Democrats have primaries too—and this year, the left is winning many of them. Republicans have an image problem. Tuesday's Republican primaries were the Tea Party's last chance. And the Tea Party struck out. 6 hours 38 sec ago.